to make it watched until last aired episode. 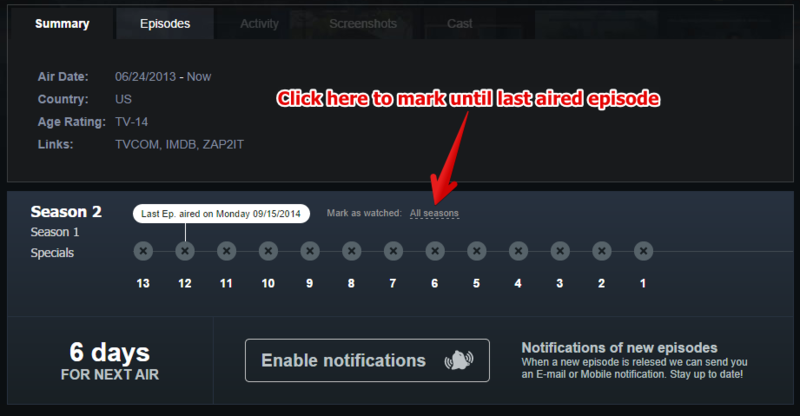 When you click this link the show will be automatically added to your watchlist as well. This is especially good for new members, or when adding new shows.